(May 3, 2018) RFI’s Alison Hird interviews Ariane Kirtley on RFI Radio English. Watch here or listen on Soundcloud. Ariane discusses climate change, poverty alleviation, migration, and the effects on populations in the Azawak. At the end, Alison asks Ariane about money being raised as part of the Paris Climate agreement. Ariane emphasizes the importance of those funds going directly to the local communities directly affected by climate change, rather than to huge policies that never reach the people. The Azawak valley in Niger used to have the richest pastoral lands in West Africa but rainfall has dropped dramatically in recent years. People and animals are dying, fueling migration to neighboring countries and Europe. The non-profit Amman Imman (Water is Life in the Tamashek language) is digging boreholes in the valley: creating oases of life which enable local Tuareg and Fulani communities to stay put and thrive. 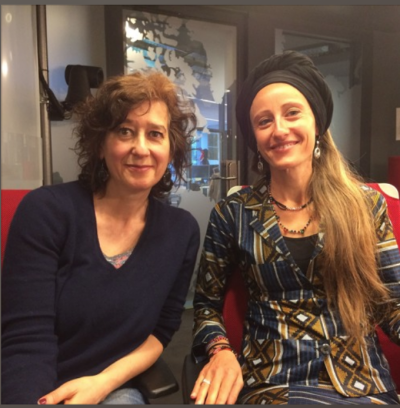 It’s also a bulwark against extremism as founder Ariane Kirtley told RFI’s Alison Hird.